"Defending U.S. workers and businesses against this onslaught should not be mislabeled as protectionism. Insisting on fair trade is the best way to ensure the long-term strength of the international trading system. 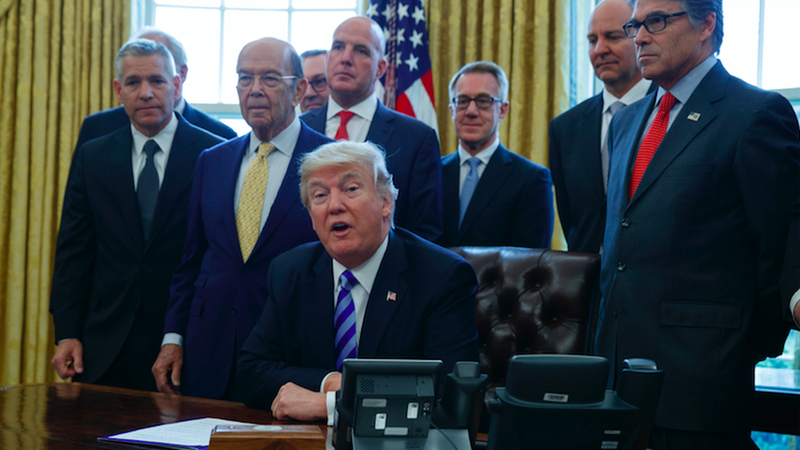 ""The Trump administration believes in free and fair trade and will use every available tool to counter the protectionism of those who pledge allegiance to free trade while violating its core principles. "Quick analysis by Axios' Jonathan Swan: "This is a noteworthy piece, I think. Seems timed to pre-spin some controversial Ross-Steve Bannon-Peter Navarro trade actions. The last couple of paragraphs [above] tell me they're anticipating aggressive pushback from the World Trade Organization. Looks like we're in retaliatory tariff land!"